Coordinated Services | GeriatriCare Management, Inc.
"I am writing this to testify to the services Stephanie Thomopoulos has offered me as a Geriatric Care Manager. Let me say that I was BLESSED the day Google introduced me to her! My father survived two debilitating strokes that left him with severe physical and mental weaknesses...I have yet to find someone as helpful, thorough, professional, compassionate and CONSISTENT as Stephanie Thomopoulos. So many times I felt like my father was seen as purely a dollar sign, but it was Stephanie who treated him like a real person and went the extra mile each time I seeked her consulting services. She helped me find the best solution to my father's needs. I could go on and on about how great she has been to us...if you're looking for someone to make your journey a little more manageable, Stephanie Thomopoulos is your lady!" We provide a professional assessment and plan of action to assist in making the right choices with the aged or disabled individual. The process begins with a face-to-face evaluation of the elderly or disabled individual to determine such areas of concern as functional and cognitive ability, psychosocial resources, family involvement and financial resources. A plan evolves from this information and the client is linked to needed services in the community. We have extensive knowledge about the costs, quality, and availability of resources in our community. One call to us will connect you to the appropriate services, saving you time and emotionally costly mistakes. After an extensive assessment is complete and the care plan is in place, we implement the plan by coordinating the care and services needed by our clients. This may include placement of caregivers, referrals to other professionals (attorneys, therapists or physicians) or community services. We monitor the care that our clients receive to ensure quality care and recommend any changes that are in the best interest of our clients. GeriatriCare® Management, Inc. offers counseling and consultation services for families and individuals experiencing situational problems or crises. A Licensed Clinical Social Worker with extensive post-masters degree experience is available and offers ongoing support services to the clients and the family. We will help to resolve the crisis by whatever services are required, including counseling, coordination of care givers, referral to other professionals or emergency placement in the appropriate facility. We understand and can assist with many of the common problems faced by the elderly, disabled and their families, such as grief and loss issues and conflict around care issues. As Professional Geriatric Care Managers, we have extensive knowledge of community resources, including Elder Care Attorneys, Home Health Agencies, Accountants, and other Health Care Professionals. GeriatriCare® Management, Inc. is not a professional investment counseling agency or a bank. However, we do provide personalized services in small estates where use of a bank or Trust Department would by inappropriate. 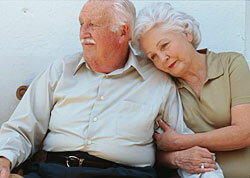 GeriatriCare® Management, Inc. can provide account management and bill-paying services in appropriate situations. Established working relationships with banks, accountants and attorneys skilled in benefits and estate planning enable us to develop a comprehensive care plan which will maximize the use of income and resources. We also provide assistance with medical insurance claims and processing of Medicaid, VA aid and attendance and other entitlements. We have extensive knowledge of available housing options in the Washington DC area, including independent living, assisted living, nursing care and group homes. While assessing housing options, we make recommendations on placement based on our client’s medical needs and financial situation. If necessary, we will locate facilities and apply for an Auxiliary Grant or Medicaid.